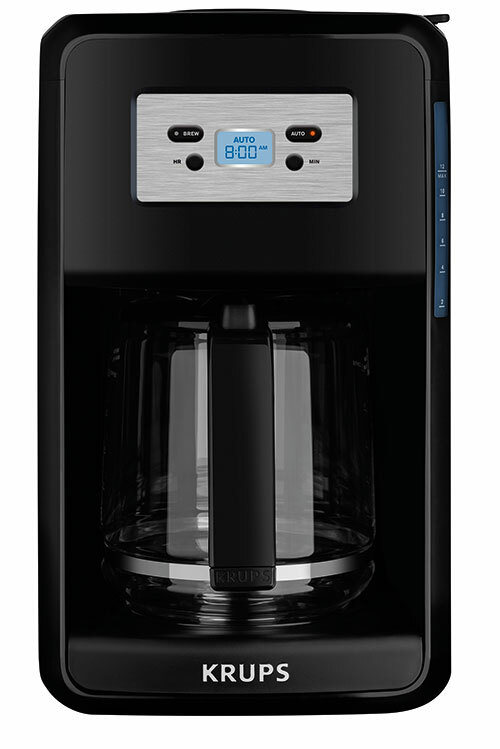 Brew up to 12 cups of great-tasting coffee with the KRUPS Savoy EC311050 programmable coffee maker. 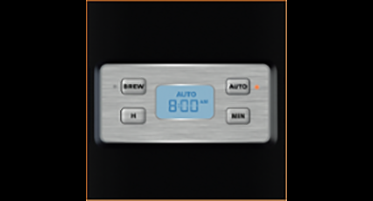 Its easy-to-read digital screen and intuitive control panel enable you to easily program your clock and program the auto-start. 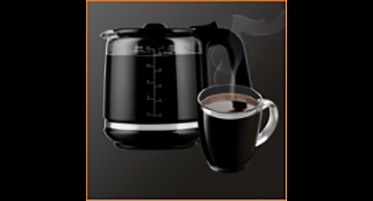 Brew up to 12 cups of great-tasting coffee with the KRUPS Savoy EC311050 programmable coffee maker. 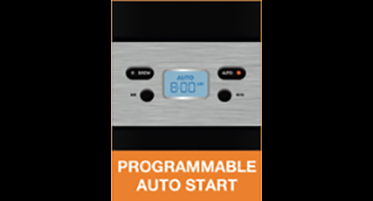 Its easy-to-read digital screen and intuitive control panel enables you to easily program your clock and program the auto-start. You can now wake up to the aroma of freshly brewed coffee or have a fresh pot ready and waiting when you want to entertain. 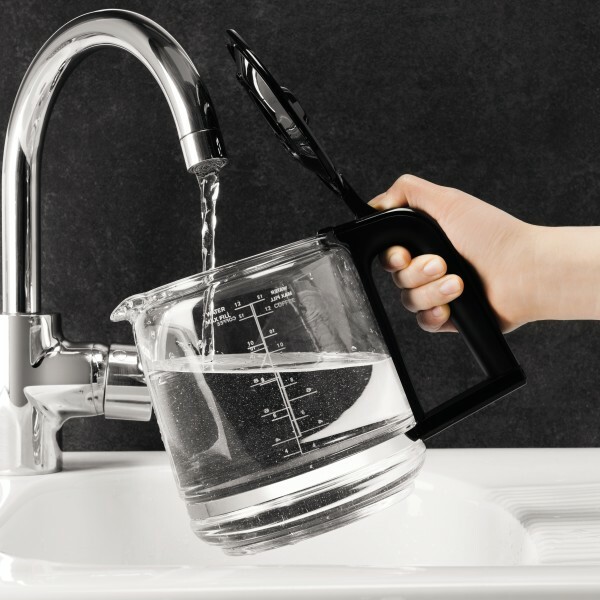 Thoughtfully designed, the coffee maker also provides a pause-and-serve function that allows you to remove the carafe at anytime to enjoy a quick cup mid-brew. 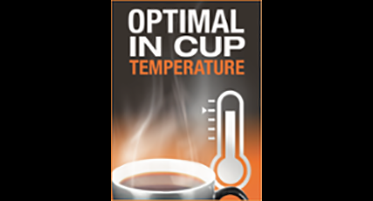 You can also enjoy the automatic keep warm function, for keeping brewed coffee perfectly heated for up to two hours. 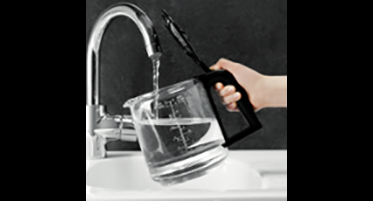 A glass carafe comes included, complete with a generous stay-cool handle for graceful serving. 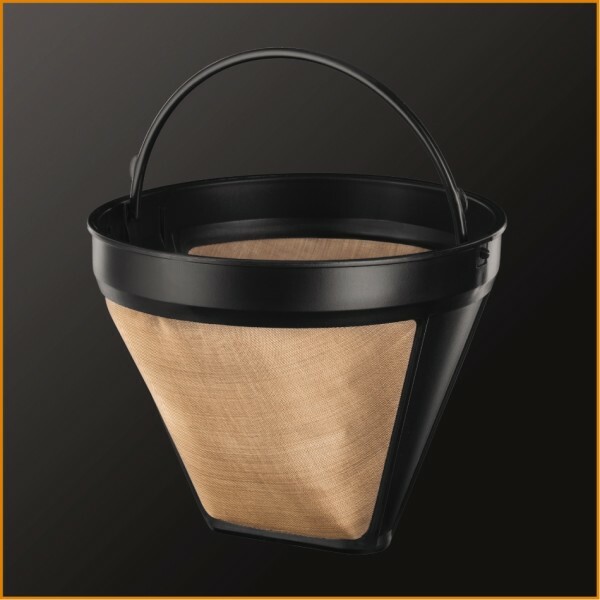 Other highlights include a front-facing water-level display and a gold-tone filter (no paper filters necessary), to prepare delicious coffee served at an optimal temperature. The EC311050 KRUPS Savoy coffee maker makes it easy to brew hot, robust, flavourful coffee every time. Get ready to savor your day. Bring out the full aroma an­ flavour of your favorite coffee. With a 60 oz. 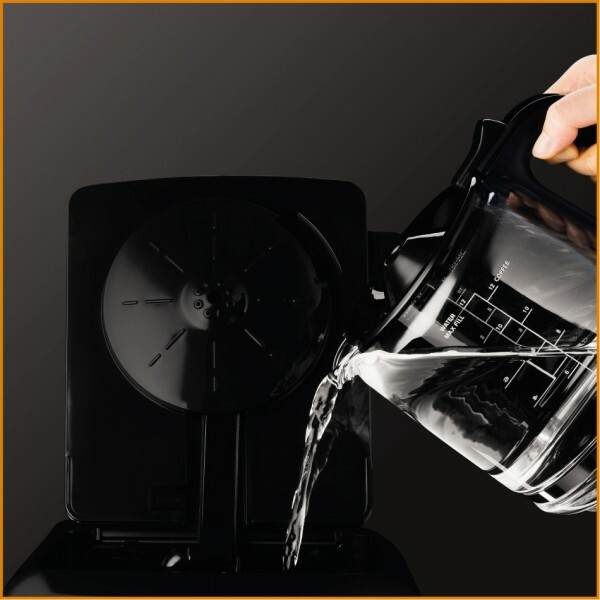 water reservoir, enjoy up to 12 cups of flavourful coffee. 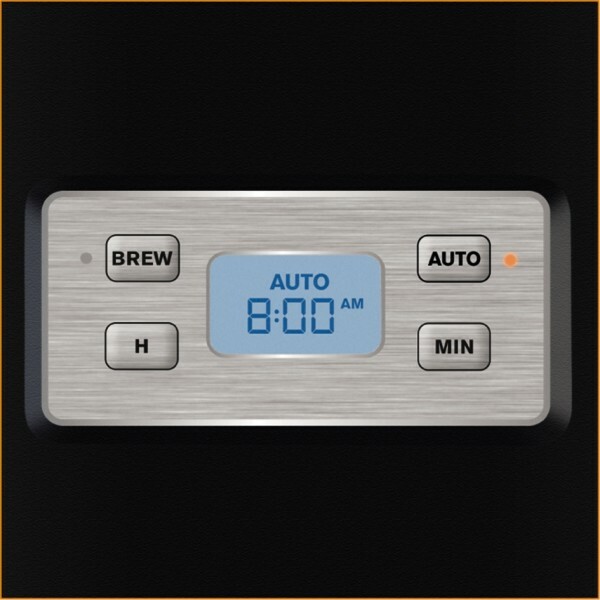 Programmable ­digital clock for auto start in the morning to wake up to the smell of coffee. For those who need their coffee right away, use the Pause and­ Serve feature. 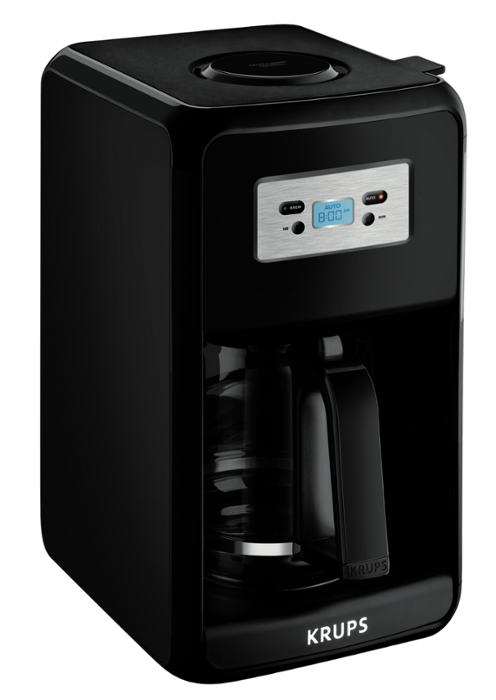 The ideal everyday coffee experience has never been easier or more convenient, with the automatic shut-off feature ensuring a safe process with no waste of energy. Program the start of the brew cycle to the time of your choosing, and experience the convenience and satisfaction of freshly-brewed coffee waiting for you as soon as you wake up. Glass carafe with curved spout for precise and easy pouring.